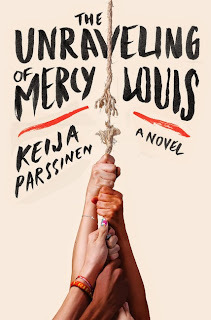 Keija Parssinen attended Princeton University, where she studied English literature and received a certificate from the Program for the Study of Women and Gender. She earned her MFA at the University of Iowa Writers’ Workshop, where she was a Truman Capote fellow, a Teaching and Writing fellow, and the student editor for the Iowa Short Fiction contest. After finishing the program, she won a Michener-Copernicus award for her debut novel, The Ruins of Us, which was published in the US, UK, Ireland, Australia, South Africa, Italy and around the Middle East. The novel was long-listed for the 2012 Chautauqua Prize. 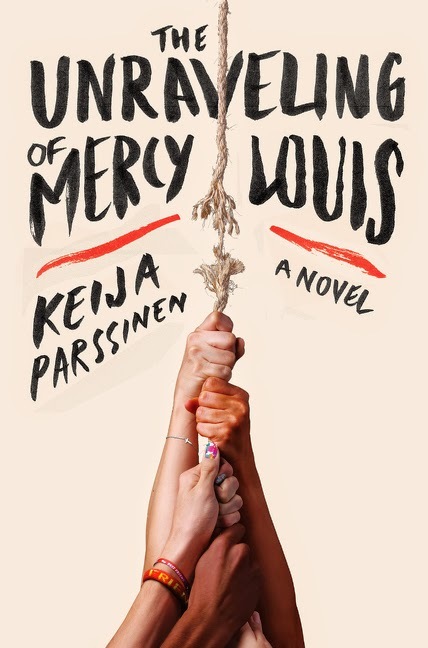 Her new novel is The Unraveling of Mercy Louis. I’m currently reading The Story of New Name, the second of the three Neapolitan novels by Elena Ferrante. It follows the intense and complicated friendship between two working-class Naples girls, brilliant and ferocious Lila, and bright but drifting Lenu. The first novel of the series, My Brilliant Friend, opens with the two girls as children playing dolls in the basement and follows them through sixteen year-old Lila’s marriage to local boy Stefano. Like a television series, the second novel picks up exactly where the first leaves off, and continues the immersive, violent, sprawling story. Ferrante offers the most haunting and complex portrait of female friendship—indeed, of girlhood itself—that I’ve ever read, so that I scoff at those people who speculate that Ferrante, Italy’s most famous and most mysterious novelist, is a man. This is not because men are incapable of rendering women in a nuanced way, but rather because the portrait of womanhood that Ferrante creates, with all of its discomforts and rages and intimacies and yearnings and frustrations and darknesses—is so deeply lived and so wholly human that I believe only someone who has walked the earth in a woman’s body could truly understand it the way Ferrante does. It is an astonishing and absorbing work, and I’m very glad that there’s another book to enjoy after this one. Thanks to the Neapolitan novels, I think I finally grasp the pleasures of being a Tolkien or Martin fanboy/girl—with a world this good, you just want more of it.